Some practical tips to maximize the time during Ramadaan & to prepare ourselves for 3Ibaadah & worship during this blessed month of Ramadaan. Minimize your chat on the telephone. If you are used to chat with your friends on a regular basis, try to make it short. Share with her the importance of this month & tell her that you want to devote yourself for 3Ibaadah in order to get the maximum reward in this month. Share with her these tips. 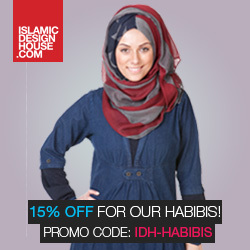 Get all your shopping done before Ramadaan. Make a list of the things/grocery/ items, that is enough for one month & buy it all together. Important: Try to do the Eed shopping NOW. The last ten days of Ramadaan when we have to be doing more Ibaadah & spend our time in doing good deeds, most of the muslims are busy in doing shopping for Eed & their kids. Sisters! These ten days, we have to exaggerate ourselves in doing more 3Ibaadah & to catch Laylat-ul-Qadr. Make this Ramadaan a very different from all the previous ramadhans. Iftaar parties during ramadaan are getting very common now. This is the month for you sisters. We have the rest of the full year to do parties & to socialize. Indeed it’s a great reward to break someone’s fast but give food to people who are needy & poor. The prophet Sallalahu 3Alayhi wa sallam said: “Whoever gives food to a fasting person with which to break his fast, will have a reward equal to his, without it detracting in the slightest from the reward of the fasting person.” (Reported by al-Tirmidhi Saheeh al-Targheeb). Cut less the time of sleep during this month. It’s a month of 3Ibaadah, doing good deeds. Who knows, this could be our last ramadaan. Reduce your sleeping hours. Its only one month & then you can get back to your normal routine. This is a personnel experience & request. Spending a lot of time on the internet, even if visiting Islaamic sites really takes hours without notice. Try to minimize your internet timings by just checking emails/stuff once a week. Now we have cleaned up a big amount of time, let’s schedule it for 3Ibaadah. Pray the Obligatory salaah (prayer) on time with Khushoo. Get yourself ready as soon as the time of salaah comes in. Make du3aa to Allaah to give you khushoo & try to get rid of all the thoughts & waswaas that comes in the mind. Think as you are standing in front of your LORD, the Almighty. If you are already praying the 12 sunnah, continue them & add the 2 raka3ah of sunnah after Dhuhr. [making them 14 altogether]. Increase the number of Raka3ah if you are already in a habit of praying salaah al-Duha. Ramadaan is the month of Qur’aan. Try to schedule it all the moments you have. If you are working, keep a pocket size Qur’aan with you & read it whenever you get the time, like coffee break, lunch break, etc. Read with reflection. Read slowly in a beautiful voice & reflect on its meanings. Try to read this time, with translation & tafseer. Pray the taraweeh in the masjid where the imaam does a long Qiyaam. Try to get up a little earlier to pray 2 raka3ah before suhoor & make du3aa. Its the best time for making du3aa & a time of acceptance of du3aa. Make du3aa to Allaah to give you Ikhlaas, khushoo, make du3aa that you catch laylat-ul-Qadr. make du3aa for the whole Ummah. Select one Dhikr for a day & focus on it daily, reflecting on its meaning & thinking about its reward, while repeating it through out the day. Keep your tongue moist with dhikr. Give as much charity as you can, as the reward gets more during the month of ramadhaan. Give food to the poor & needy people & help those in need. Double & triple the amount of 3Ibaadah you are already doing (reading Qur'aan, nawafil, Dhikr, du3aa, qiyaam) in the last ten days of Ramadaan. Sleep less & worship more.. pray as much as you can & make a lot of du3aa. Jazakallahu Khair sister.. this was very much needed! May Allah help us all make the most out of this Ramadan, Insha'allah! very usefull will use this information! These notes are scribed by sister Huda from "towardshuda" blog. Please post a link to her blog under this article as these are her efforts & we should give credit to her. Thanks for sharing this useful post! In time management, planning and prioritizing helps us to prevent losing any task we have to do. Planning is the starting point of time management and it is more essential for project management too. There are many apps available in the market which helps to manage our tasks and time more effectively. For any management task, Replicon software ( http://www.replicon.com/olp/online-time-recording-software.aspx ) can be the perfect choice. In my opinion and experience with this software, you are bound to expect no issues or problems in using it.